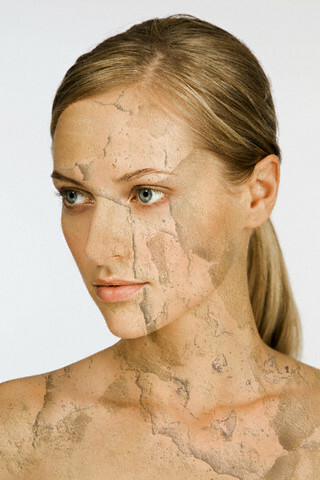 Extreme dryness can cause your skin to peel off. It turns dull and lifeless and gives you a weird look. But, you do not have to worry any more. Here are a number of home remedies to treat your skin and make it look as beautiful as ever. Apple contains loads of minerals, vitamins, and even water. All these ingredients make this fruit the best choice to keep your skin soft and nourished. It solves all problems of dry and peeling skin by providing it the nourishment it needs. Take an apple and make a puree. You could also try grating it. Rub it on your skin and massage well. Do it gently so that your skin is able to absorb it well. Rubbing exfoliates your skin and removes all dirt, grim, and also dead cells. It is an effective cleanser along with being an effective moisturizer. Avocado is a very tasty fruit. Moreover it has also got a number of beauty benefits. it has a rich and creamy texture which makes it work really well on your skin. Take an avocado fruit and take its pulp out. Make a paste by adding honey to it. Apply this paste on your face and let it stay for about 15 to 20 minutes. Wash it off to get clean and soft skin. The pack leaves you with velvety soft skin, free of dryness. Apricots work well for skin which is dry or sunburned. Moreover, they are good exfoliating agents too. Apricots are widely used in face scrubs because of this property. Take some fresh apricots and crush them. Use the paste to exfoliate your skin. Wash it off after that to get soft and nourished skin. It moisturizes your skin from inside. The beauty benefits of Aloe Vera are enormous. You can never even imagine how many uses it can have. It is correctly known as the magical herb, with so many different uses for your hair, skin, and health. One can never forget this herb in the list of natural remedies. All issues of the skin can be cured by using Aloe Vera. Same is the case of dry and peeling skin. It has got healing properties which make your skin shine and cures all problems. Take the stem of an Aloe Vera plant and cut it into half. Take out the gel with your fingers or a clean spoon. Use this gel to apply on the affected areas. It cools your skin and makes you feel better. Your skin troubles are all cured. Almonds are very good for your skin and health. Eating almonds is really good for your health. It contains Vitamin E, which makes it so useful. Using almond oil to massage your skin works magic on your skin. Moreover, almond oil is non-sticky and has a good fragrance which leaves you feeling fresh. After having your bath, apply some almond oil on your skin. Within a few days, your skin will become glowing and beautiful. Bananas work really well on dry and peeling skin. Mix some banana and yogurt, and blend them together. After whipping well, use this paste to apply all over your face. Leave it on for about 20 minutes. Wash it off using cold water to see the magic. Your skin becomes soft and supple. It cleanses your skin and even makes it cool down. It moisturizes our skin to make it soft. Coconut oil is a very common ingredient in all kinds of beauty products. Since ages, coconut has been used on skin to make it nourished and beautiful. Take some coconut oil and apply on your peeling skin. Leave it on overnight to work as you sleep. If you are using it on your feet, use gloves or socks to cover it up well. In the beginning, you may feel it to be oily and sticky, but you will get used to it slowly. It is not a very messy affair after all. Cucumbers are rich in water and nutrients. They contain 96% water, and are the perfect remedy to cure your skin. Take a cucumber and either grate it or make a puree. This can be used as a mask to apply all over your face, hands and any place on your body that gets dry. Your skin gets rehydrated from within. It is made soft, radiant, and fresh. This mask can be put on for some 15 to 20 minutes on a daily basis. Your skin is refreshed and gets a glow. This is another magic treatment for your skin. Take an egg yolk and whip it well. Add a spoon of olive oil to it and mix them together. Use this paste as a face mask. Cover your face and leave it on to dry. Wash it off with cold water after about half an hour. The mask contains antioxidants, Vitamin A, Vitamin K, and Vitamin E. your skin becomes soft and hydrated after the treatment. The benefits of papaya for your skin are just so many. It is the best treatment for any skin issues, and makes your skin soft, glowing, and beautiful. It is also the best remedy for controlling ageing of your skin. It clears wrinkles and dark spots and cleanses your skin to give a young look. The antioxidants in papaya help your skin heal rapidly. Take a papaya and squeeze out the pulp. Make a puree and rub it gently on your skin. Your skin is able to absorb all the nourishment as you rub it gently. Wash your face after that to feel fresh and relaxed. It is a great relief for your skin. Your skin will start feeling better after this spa session with papaya. All these tips help you treat peeling and dry skin using ingredients from your kitchen. Use any remedy of your choice and feel beautiful. These are actually cool alternatives for peeling skin, I didn’t know that banana can be good. Thank you for sharing this one.